Ant-Man feels like an eternity ago in Marvel Cinematic Universe terms, and it might be a little early to be talking about its sequel, Ant-Man And The Wasp. But here we are. The MCU is a never-ending news cycle. And the latest piece of juicy news to come out about Ant-Man’s follow-up is that Michael Peña will be returning. In a story about Peña’s upcoming horror thriller The Bringing, The Hollywood Reporter also snuck in some information about Peña’s return to the MCU. 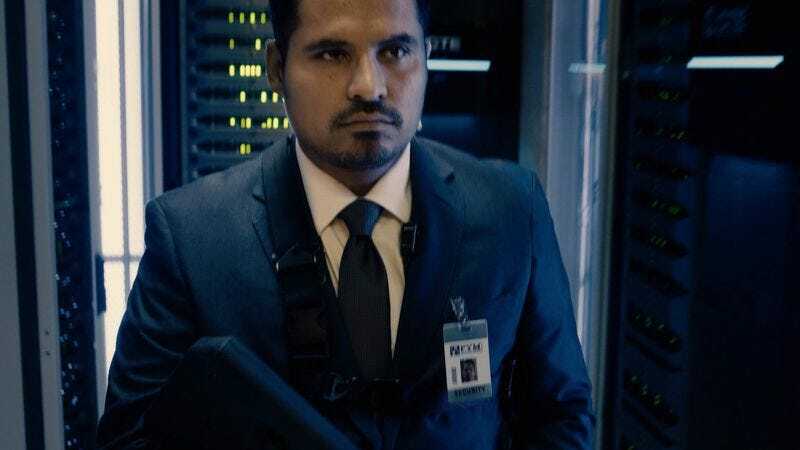 Peña played Luis, fellow thief and friend to Scott Lang in the first Ant-Man film, and he brought some of the movie’s best comedic moments. Hopefully his inclusion in the sequel will mean that Luis will get more fleshed out. Other than Paul Rudd and Evangeline Lilly—starring as Ant-Man and The Wasp, respectively—Peña is the first original Ant-Man cast member confirmed to return for the sequel. Even though Michael Douglas wasn’t under contract for multiple films in the franchise, he is also expected to return, and earlier this year, Sharon Stone also teased that she would have a “wee part” in the film. There’s no official word on what that wee part might be, but our best guess points toward Janet Van Dyne, Hank Pym’s (Douglas’) wife who was once presumed dead, but come on, when is anyone in the MCU actually dead? Ant-Man And The Wasp heads into production early next year, and there will probably be approximately 175 new announcements about the film by then. Ant-Man And The Wasp debuts on July 6, 2018.